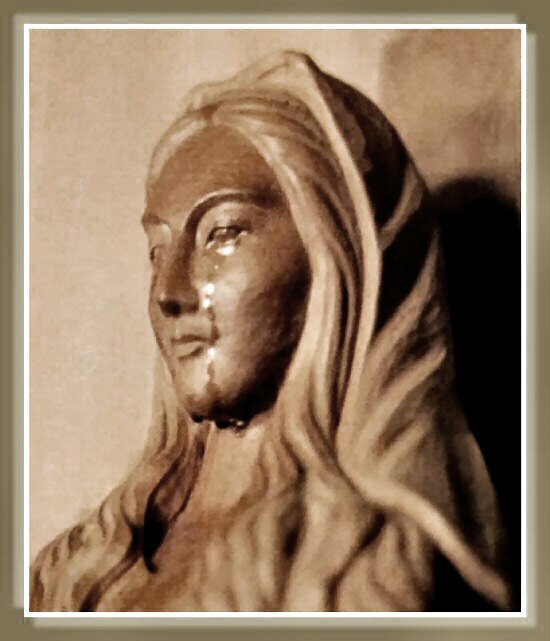 The first miraculous event at Akita occurred on June 12, 1973, only a month after the entrance of Sr. Agnes: A brilliant light shone forth from the Tabernacle. This happened several times and was often accompanied by something resembling smoke which hung around the altar. During one of these illuminations Sr. Agnes saw ". . . a multitude of beings similar to Angels who surrounded the altar in adoration before the Host." Bishop Ito was staying at the convent to conduct a week of devotions. Sr. Agnes confided to him the circumstances of this vision, as well as all the events and apparitions that followed. Bishop Ito and the convent's spiritual director, Rev. Teiji Yasuda, were witnesses to many of the events.